Social media today is the most popular medium of communication, due to its immediacy. According to Statista, the number of social media users in India is 226 million (2018) and this is expected to go up to 336 million by 2021. The 2014 Lok Sabha elections witnessed a significant usage of social media by political parties and leaders, especially the BJP and their then PM designate Narendra Modi to disseminate their ideology, policies and programmes and highlight the shortcomings / corruption-related scandals of the previous regime. The Congress had a weak social media presence back then. Rahul Gandhi joined Twitter only in April 2015 while Modi had 16 million followers on social media (Facebook and Twitter) at the time of 2014 elections. All this helped in creating what is called the ‘Modi wave’, and led to BJP sweeping the 2014 polls. After 2014, most political parties realised the importance of social media and registered their presence on platforms like Facebook, Twitter, Instagram. 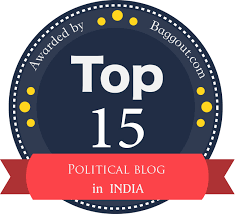 The 2014 general election is touted as India’s first “social media election”. Social media impacted results of 30 to 40 percent of the total seats, according to BJP IT Cell Head Arvind Gupta. This is expected to go up to 60 percent by the 2019 general elections. Social media has emerged as a new battleground for political parties. The Congress, which was lagging behind BJP, has pulled up its socks. This turnaround has happened since Gujarat elections 2017. Today, the Congress and Rahul Gandhi are very active, even aggressively so, on Twitter and Facebook. Narendra Modi has five times the followers Rahul Gandhi has. Despite this, Rahul Gandhi’s average retweets and likes are much higher than Modi’s. BJP has 10.2 million followers while Congress has 4.62 million. Here, as well as in terms of retweets, and ‘likes per tweet’, Congress is ahead of BJP. This shows that the Congress is a strong match to BJP’s might on social media, and has created its own army of volunteers, influencers and verified handles, which play an important role in getting to trend on Twitter. Twitter wars between Congress and BJP is a regular affair. Who would have thought, even a year ago, that one day the hashtag #MeraPMChorHai would trend on Twitter nationally. BJP, not one to lose, made a comeback with #RahulKaPuraKhandanChor. The hashtags used by the Congress of late are fast gaining popularity. An analysis of top Twitter trends of September 2018 shows Congress as being marginally ahead of BJP. However, on Facebook, Modi and the BJP’s dominance is intact. Modi is way ahead of Rahul Gandhi and BJP is also much ahead of Congress on Facebook. Facebook’s user base is almost 7 times the number of Twitter users in India. Thus, Facebook’s outreach is greater. According to Statista, in 2019, internet users in India are expected to reach 407 million. About 65 percent of India’s population is within the age group 18-35. This group spends almost 4 hours on the internet. Political parties are therefore targeting this group of voters for mobilisation, as most of them use Twitter / Facebook to consume news. Mobile internet rates plunged by 93 percent while data usage per user surged by over 25 times in three years to 2017 as per the Department of Telecom’s data. This is driving internet growth. To sum up, social media is undoubtedly going to play a key role in the 2019 general elections. Congress has beefed up its presence, and so have many regional parties on social media platforms. This is likely to prevent the free run BJP enjoyed in 2014 elections as ‘early adopters’, and make the battle interesting. 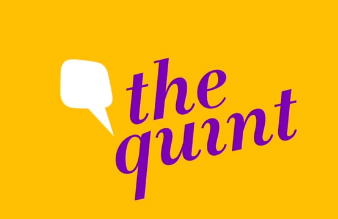 This article was first published in The Quint. Social media play an important role in the campaigning for the party and also helps the politicians to reach the citizen. Do you believe, that politicians should have the detailed political profile online which creates transparency between the citizen and the politicians?